Anyone who has been in the market for a home knows there are pros and cons to every real estate listing. With a custom-built home from one of the best home builders in Greensboro, you can personalize each room to make sure it is functional and complements your family’s lifestyle. 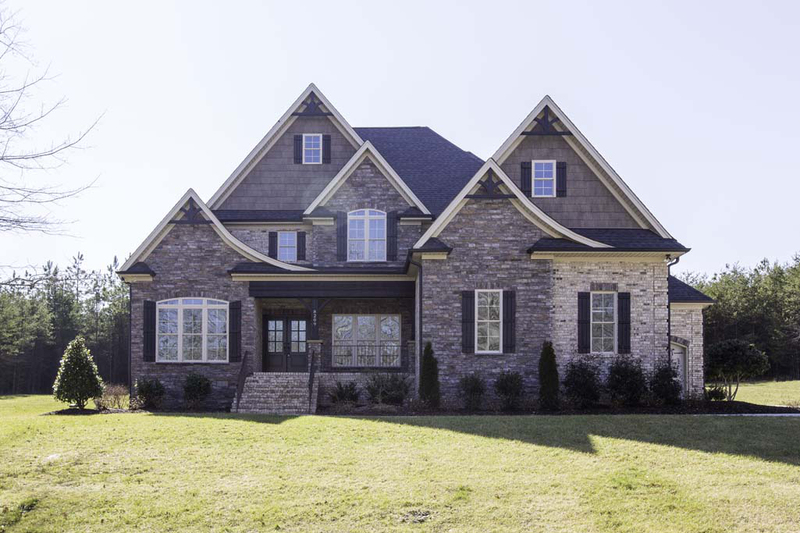 Greensboro builders, R&K Custom Homes, which has been serving the Triad for more than 23 years, will start your project with a consultation to discuss your needs and budget to make sure your family gets the home of your dreams at a price you can afford. An R&K representative will collaborate with you on a richly detailed plan for your home using your own ideas, custom plans of their creation or customizable “in-house” blueprints. Are you into light and airy beechwood or dark, sleek oak? Since the kitchen is the heart of the home, it’s the perfect place to show off your personal style. Vaulted ceilings give a room an open, cathedral-like feel, while lower ceilings create a close, cozy vibe. You can also spice up your ceiling with moulding. Some rooms might be more suited to a nontraditional ceiling than others, so think about what look you’re going for. Traditional shelves get the job done, but built-ins are a throwback to traditional southern homes that add instant elegance. Use them for books, movies, knick-knacks or your favorite collectibles. If you’re the entertainer in your circle of friends, a home theater or media room can take your hosting game to the next level. Enjoy the big game or latest blockbuster on a mega screen while sitting in a luxurious recliner. A nook adds a little quirk to any room by making two spaces out of one. They can be placed in a nursery for a dark and quiet place to place a crib. In kids rooms, use them to create a reading area away from the distraction of toys and electronics. For master suites, they can provide a nice place to drink coffee and look out the window in the mornings. R & K Homes has a reputation and top-notch warranties that will prove to you that we stand by our work. To discuss these and other exciting options for your new home, call the best home builders in Greensboro, R&K Custom Homes, at 336-643-3503 for a free consultation. New Home Builder in Summerfield: Top 5 Reasons to Build a Summerfield Custom... Homebuilders in Greensboro: Which Will Help You Most?